Our company was founded in 1937 by Mr Yechiel Novikov, in blessed memory. During the past forty years the company was run by Mr Noach Niv, his son. In these days the company’s reins are being handed over to Ido – the grandson. Since then and until this very day, the company is in private hands and is run as a family business. During the past seventy-seven years we have amassed a wealth of experience and expertise in a number of important fields such as: clearing of car parts, clearing of trucks and private cars, clearing of boats etc. The services include handing in applications and receiving certificates of approval in a fast and efficient way in all the departments of the standards institute. 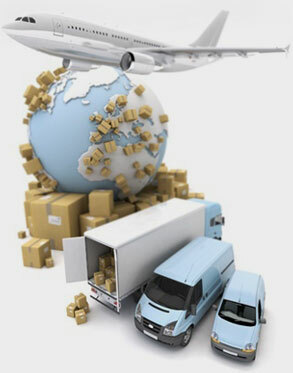 Our reputation of excellence and trust facilitates a fast clearing from customs without any unnecessary delays. When we do encounter an obstacle we are always more than willing to get our hands dirty to secure until the correctness of the case has been made and attaining the parcel in a timely fashion, without any unneeded fines. Our company has a network of land freights at our immediate disposal, from the main ports in Ashdod and Haifa as well as from Ben Gurion airport. The Noach Niv company established a global freight department, which provides import and export by sea and air, with interconnected agents in Asia, Western and Eastern Europe, The USA and Africa, granting our customers personal, professional and prudent service. SPAM DETECTION - HOW MUCH IS ONE PLUS 2?